Replacement batteries for all Belkin UPS Models. 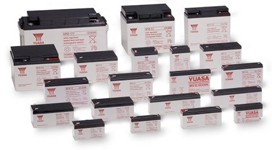 All VPS replacement UPS battery kits are assembled using high quality sealed lead/acid batteries manufactured by CSB or Yuasa which are fitted in both new equipment and also replacement battery cartridges. Next day delivery on all orders before 4.00 p.m.
We only list the most popular models. If your Belkin model is not listed here or you are unsure which battery you need please contact sales for pricing and availabilty. The prices shown exclude VAT and Delivery charge of 5.99 if your order is less than 200. If required you can purchase safe disposal of your old batteries, simply use the carton your new batteries have arrived in and call us when your battery is ready for collection quoting your receipt number - the price includes the return freight and is per carton. This is down at the bottom of this page. Parcelforce will bring all necessary labels. If you cannot see your model number listed here please contact sales on 0800 634 3390.